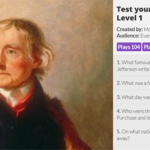 Test your students’ knowledge on Thomas Jefferson and Monticello with these five interactive quizzes. 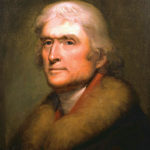 The quizzes include a range of topics such as slavery, architecture, the early Republic, etc. Does a law that prohibits candidates for judicial office from personally asking for campaign funds violate the First Amendment? This case summary looks at First Amendment protections against Florida Bar Association regulations. 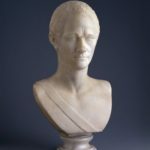 This resource is a timeline of the private and public events in Thomas Jefferson’s life, including his election to the House of Burgesses and death of his mother. Can the Bipartisan Campaign Reform Act restrict issue ads from airing months before an election? This case summary shows how the Supreme Court answered that question in 2007. This complete online textbook covers American history, government, and economic concepts. Resources include readings for students, activity directions for teachers, and handouts that are downloadable and printable for classroom use. Content is geared toward students in grades 8-12. All materials are aligned with Common Core and individual state standards. Read breaking news related to the Bill of Rights, gathered by Institute staff every school day, from reputable news sources across the country. Our news stories are chosen with young people in mind and on the basis of ease of use in the classroom, clarity of the constitutional issue, and neutral presentation. Most-clicked headlines are below, and you can find more stories grouped by constitutional principle on the menu to the left. 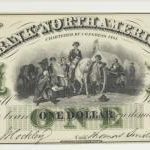 The Bill of Rights Institute offers free eLessons to supplement current curriculum or to be used as independent lesson plans by educators in their own schedules.Teachers may subscribe to our newsletter and receive two free lesson plans each month, or simply visit our website and choose from our archive. Each eLesson contains historical content, connections to real life, classroom activities, downloadable PDFs, answer keys, discussion questions, and/or suggestions for further reading.